There is own fun having corn in rainy season. According to Ayurveda, corn gives satisfaction, cures gout, cough, bile, sweet and grain producer. Corn contains folic acid, protein and carbohydrates. You can make a lot of tasty dishes from corn. It is very healthy for our body. 1. Take fresh corn and boil it in water. Filter this water and mix sugar in it. This mixture cures urine irritation and kidney weakness. 2. It is full of fiber so digestion system becomes healthy. There are fewer chances of constipation, hemorrhoids and colon cancer. 3. Yellow seeds of corn contain lot of magnesium, iron, copper and phosphorus which makes bone strong. There are less chances of fracture in old age with these nutrients. Also, liver works properly. 4. Corn contains antioxidants which keeps skin younger for long time. You can also use its oil which contains linoleic acid. You can also use corn starch in skin rash and itching. It makes your skin very soft. 5. Anemia occurs due to deficiency of iron. To avoid this you must have to intake corn because it contains vitamin B and folic acid which removes anemia. 6. 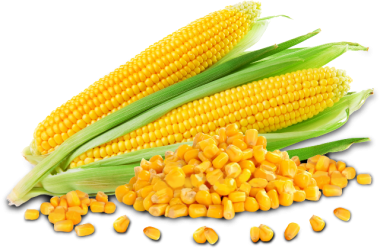 Corn is helpful to cure heart disease as it contains vitamin C, carotenoid and bioflavonoids. It prevents increased cholesterol levels and also increases the flow of blood in the body. 7. It is very beneficial to pregnant women so they should include in their diet. It contains folic acid. Due to deficiency of folic acid child may be underweight and suffer from many other ailments. 8. Grind fresh milky corn gain and fill them into bottle. Keep this bottle in sunlight. Dried milk will fly and oil will remain. Filter it and fill it in the bottle. You can do massage with this oil. You can do massage on weak child’s feet.